The Shepherd says to himself, “I got to tell them!”. But in the same breath comes the other question, “But who is going to listen: Angels, wise men? We ask, “Who is going to listen in Nuriootpa, in South Australia, in Australia in all the communities of planet earth in 2018? The Shepherd thinks that if he looks impressive, they will listen. But then he knows that the telling of this news does not depend on how clean or dirty your fingernails, how tidy or untidy your hair, how much or little respect you may have; there is Something bigger telling this story. The Shepherd’s questions still stands today: Who will listen? Who is going to believe that the saving of this world, with all of its war and hate and injustice and powerful evil forces at work, comes to an end in a baby in a shed in a nowhere town a long time ago? It is a miracle that any of us believe this magnificent but beyond human logic news – that Jesus the Saviour of the world is just that – the Saviour of this troubled world. He is indeed the end of injustice, war, hatred and fear. That is what he claims at Christmas. Well, Christmas is not really primarily about Shepherds and angels and stables and straw. These things and people were there when something ‘Other’ happened. What Luke and the many other first witnesses are telling is not so much what happened as what it actually means for those who come after them – you and me. So, let the Christmas nostalgia sit with you. You feel warm. You enjoy the memories and the moment, and so it should be. But hear the Sprit whispering to you to then move beyond it just for now. Yes, you’ve got some time off. We give and receive gifts and eat nice food and catch up with loved people and this is good. But can we let the meaning the bible drives at underneath it all; meaning that crosses history and cultures and outlasts our best Christmas gift? GRACE: Christmas means grace: God’s grace. This world’s freedom, future, life and peace is complete gift from a God of gifts – the God of grace. Angels, shepherds, eastern stargazers, young women, old men, confused fiancés do not choose any of it. It is all given to them. Christmas is done for them and to them. They don’t ask for Christmas, control Christmas or even know the Christ-child. Grace arrives in a person. He is grace. Jesus just arrives. The angels just sing. The shepherds just turn up, along with Eastern travellers. It is all gift and it is all grace. Christmas means grace – God is grace. God gives gifts because he gives gifts to human beings who don’t know, can’t know, can’t earn, can’t be good enough, can’t be perfect, can’t be in control enough. Of course, we do our very best to avoid this meaning and defend our own goodness at Christmas. We try and live a very good life at Christmas. We give, we share, we try hard to avoid trouble at Christmas dinner. But if that is all we believe Christmas to be – a moment of us being good, then we have missed it. Why? Because we have missed him. That is acting like Jesus is just a kids story or legend or fable, like Lord of the Rings or the Hobbit. Christmas in God’s words announces that Jesus is goodness itself, grace itself. Jesus is life beyond our efforts and control and mistakes and fears. He is grace now and for us and for always. God has actually come in grace to you. You are not on your own or dependent on keeping yourself good. He is every good thing you will even need. FELLOWSHIP WITH GOD: These Shepherds and angels and travellers, and Mary and Joe were invited into a whole new depth of fellowship with the God of Christmas. God comes close and invites them into himself and his great good news for them and their world. God becomes human so we can be close to him. He lives the perfect human life we could not. He dies the perfect human death that we no longer need to, because he has and because he lives. God becomes knowable and able to be experienced in a whole new personal and communal way they could never really know before this event of God. Hail the in the flesh deity. God has hidden his overpowering holy light, so we can know him and be loved by him, made new by his love in the baby boy. Now we can see him, hear him, taste him, see him, touch him, know him personally because the huge lengths God has come to get close to us. God wants to be near you. He calls you to turn away from your self and your vision of life and wants and needs and desires and any sense of justifying yourself before people and before God. The boy calls out, “Turn to me with all your heart in the shed in this trough so your heart is melted and you know that you are loved into this divine close love and acceptance”. Jesus ain’t no concept or intellectual truth. He is a person. He is blood, bones, words, hands, breath. He is love and he seeks fellowship with you. MAKES YOU WHOLE: Love is a person with a body and mind and a spirit that draws close to you in everything about you. Christmas means that your body and your mind and your spirit are included in the saving grace of a God who has all three, just like you. Jesus is not a force of love or just a spirit of love or a universal being that created love. Jesus is a baby; a human baby like you and I have been once. So, Christmas says that God is love in all forms and all ways. God is three persons acting in concert to get those angels singing, those shepherd and wise people believing so you can sing and be invited into that Trinity of Love, that community of love who has a body like yours, a mind like yours, a spirit like yours. JOY: This Shepherd just explodes in joy. It is the right response! It is the only response – like a Grand Slam winner lying on the court with racquet raised and tears flowing – joy unfettered and free. Our songs express it. The biblical texts express it. This pastor, this Vicar, this people love it. Joy to the whole world for the Lord of it has finally come to save it! if Christmas is for my whole body, my troubled mind, me spirit – all of me, then it is joy. Not just feeling happy, but joy that is an anchor to our lives as we love like we have been loved, give like we have been given to, share the way we have been included and given everything in his love. Yes, the wonders of his love. The wonders of his love. Hear it, friend. Unwrap him and his four gifts. He may be more like me than I ever thought possible. The angels got it wrong. This I not just good news. It is the best news ever! Have you ever had a couple of people “mutter” against you? You say something that they don’t agree with and you sense that they are muttering their disapproval of your words or you, under their breath…. I remember doing this a bit when I was a kid. You’re driving along on a family holiday all squeezed in with your two sisters and you know it is lunch time and you are all wondering whether Mum and Dad are going to pull in at the service station and buy the all-time favourite holiday food – hot chips and burgers! Dad says we are going to stop up here in this beautiful truck bay and make sandwiches and enjoy the serenity! ……..The muttering goes on between us kids in the back seat! The Pharisees are muttering against Jesus. They are unwilling listeners. What’s the “muttering about” at the beginning of Luke 15? The legal and religious people have noticed something about this popular rabbi from the North. He seems to be building a community that is different to theirs. He seems to be gathering people into a new community who they have spent their whole life excluding. So, there are two groups of people around Jesus: Tax collectors and sinners, and the morally right and acceptable Pharisees and Law teachers. The morally right people are offended and angry about what Jesus is doing – what kind of community he seems to be gathering. They are particularly angry about Jesus eating with these outsiders. Eating together in our culture still has that sense of hospitality. Eating together for us is an invitation to friendship and a sharing of life and happiness (unless it’s a sandwich by the side of the road when you are a kid!). But for this ancient Jewish culture – eating together is a badge of honour, a mark of inclusion or exclusion. There are many rules about who can share food with who and Pharisees and Law Keepers do not under any circumstances eat with gentiles – especially sinner types and tax collectors – people ripping off their own country to keep the Roman occupiers well fed! “Doesn’t he realise that they are the real trouble makers of our society? Why doesn’t he tell them to straighten up” they mutter. Jesus must just be telling them what they want to hear and not calling them to account for their obvious sin against us and our God. Either that or he is a drunk and a glutton………. To top it all off, Jesus and his motley community seem to be happy! They eat together, they laugh together! There is an openness and an honesty to them. So, the muttering is in full swing. Jesus does not respond with a compact answer, but tells three parables. They are all about lostness: lost sheep, lost coin and then lost sons. Jesus will now challenge these unwilling listeners by 1) confronting their categories of sin and 2) redefine their categories about salvation. The first parable is about a lost sheep. One sheep out of a mob of 100 gets lost and a shepherd goes out and brings the sheep home to safety. For us this has become a picture of love and safety where we feel all warm inside. For the ancient hearers it is offensive. Sheep are stupid. Everyone knows that. Even the nice sheep in the Middle East will get themselves into very dangerous territory in the one tracked and mindless search to eat grass. They will eat themselves into some rocky crag or some precarious hillside track and put themselves in harm’s way and not even know it – until it is too late – and they are lost. But what is worse, unlike a dog, they will not be able to find their own way home. And even when the Shepherd finds them, they can’t even follow him. He has to tie them up and put them on his own shoulders and carry them home. Being called a sheep is not warm and fuzzy – it is being called incapable of anything except eating yourself into lostness. Let’s think about our life in sheep terms. Where are you feeding and getting yourself lost? Dating someone: feeding your soul by dating a person to the point that you are placing your entire sense of well-being and even spiritual growth and life on the shoulders of this person. Work: feeding on the achievement and fulfilling expectations so much that you whole soul is resting on these things. The bible says we are all stray sheep very capable and active in consuming our way to lostness from the Lord…. The thing about utterly lost sheep, is that they are also utterly loved! Jesus is a searcher of lost sheep. He leaves the 99 that are already safe and at home to go out into dangerous places where we are feeding ourselves to death to find us. We are his treasure! We are the lost coin that could not find itself but has to be found by another. He has to be because we cannot find our way home and even when we are found, we don’t know how to follow! God did not just send a teacher or role model for us to follow – that would never have worked – because we will not be OK with a bit of learning or following or reflecting. We will not figure life and death out. So he does. He does it all. He lives the life we should have lived and dies the death we should have died and searches for us and finds us and places us in his new community of lost and found utterly lost but now utterly found and loved community. See how comprehensive Jesus knows sin to be. Our view of sin is often so one dimensional….. Most people think that religion is humanity’s search to find God. We like to think of ourselves and spiritual seekers. We look at the various religions of the world and even though they say different things on how we find God, we often think they all pretty much say that if we all earnestly and honestly search for God we will find him. There is a big problem with this popular view: Anyone who feels they have done the hard work of searching for God and found him will automatically disdain those who don’t seem to be making any effort to find God. 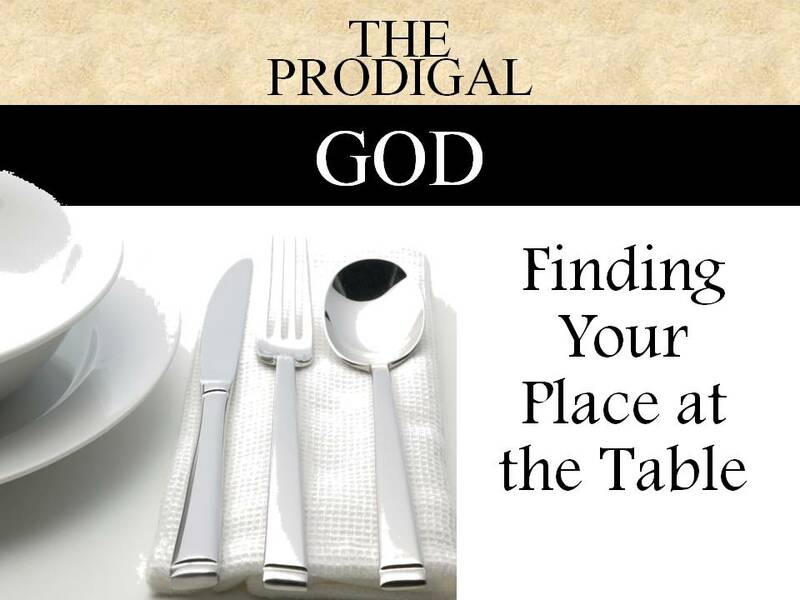 They will look at non-searchers of God and call them “sinners’, slackers”, and blame them for their lack of belonging and place with those who have searched and found God. Every other religion says that if we search for God hard enough we will find him. Only Christianity says, no. God had to come into the world to seek and find us. Our life in God ‘s joy and fullness together is all by his doing and all by his loving – it is sheer grace. Because the Pharisees and Teachers of the Law do not see themselves as sinners saved by God’s grace, they disdain and condemn sinners. They feel superior to them. But Jesus rejoices with sinners when they are sought out and found. What kind of community are we – people believing they are worthy of God’s approval because we searched and found him? If we are then we will have a real problem. We will blame the sinners instead of seeking them. We will hold them in disdain at their lack of searching and their sin rather than leave the 99 to go and find the lost one. We will be Pharisees; unwilling listeners. We will be smug and self-righteous. But as we openly acknowledge our lostness and rejoice in our foundness – all by God’s grace by faith in Jesus, we will be a the new community Jesus is building. We will welcome the sinners and search for the lost ones. We will not need to be superior or smug. We will be a community of unified difference. We will be a community in which sin does not have to be concealed but one in which sin can be shared and forgiven and its effects healed. This is what we want. This is what the world needs. This is what this Valley needs. This is what we need. I am praying that through these next weeks, all sense of superiority we may have disappears even more and the joy we share that includes other lost people like us and invites them into being found by Jesus increases. I am praying that we all move from unwilling listeners to joyful seekers who know our identity and worth rests on the love and hope of Jesus, not on family, work, wealth, achievement or even a partner – but in God. Sermon, Sunday June 17, 2012. 3rd Sunday after Pentecost. 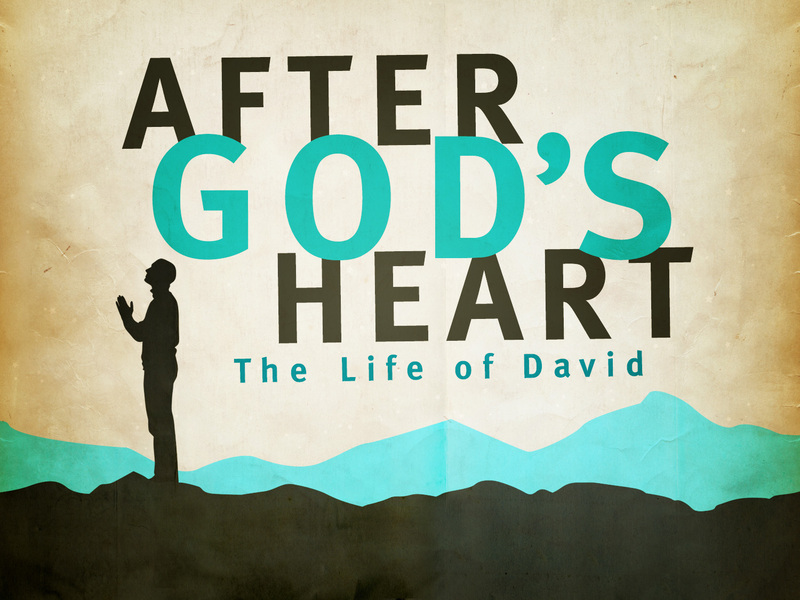 Friends, we continue our journey in the life of David who was credited as being a “man after God’s own heart”. Last Sunday we heard the account of God’s people and their demand of a king to lead them and fight their battles. We heard that the Lord took this demand as one that rejected his leading and fighting for his people as their king. And yet, even though this decision by the people would cost them dearly, God allowed their bad decision and anointed a king – king Saul. So we learnt that being a person after God own heart is being like God to his people – not letting bad decisions or even offensive words get in the way of loving others. God allowed his people their demand out of gracious care and love for them. He stuck with them even when they got it wrong. Well, God would have to do a lot more of this kind of patient forbearing of his people because things did not go well with King Saul. Saul gave up on the Lord often and in then the Lord had to anoint another person for the crucial role of king over his people. Today we hear the account of the one he chose. David. We will hear about God’s unexpected and very different view of what is central to leadership and fighting his battles in life. One of the things that used to stress me out at school was when the team got picked for the game of footy or hockey or soccer. The teacher would gather the class, pick a “captain” who then had to pick a team in turn from the class. Of course, all the sporty kids would be picked first. Then all the popular kids, and then the last few who were not particularly sporty or popular would be picked. And then there was always that harsh moment when the one or two kids who were just simply regarded as weird or bad or worthy of scorn were reluctantly picked – often with a snide comment or two by the captain and his or her mates…. I am glad that this system of picking teams has largely been abandoned because of the damage it can do to sometimes fragile kids and young people. Well, what we have here today is kind of like a team picking event. It is an account of not merely the choosing of a young person to be on a sporting team but a person to faithfully lead a nation into a new future with God. The stakes are much higher than a game of netball or footy or chess, the person God chooses will bear the full weight of leadership of God’s people as they fight off harsh enemies and establish themselves in the world – and more importantly, live out the Promise first given to Abraham by God – the be a nation as countless as the grains of sand at the beach who occupy a land and have a mission in the world to be a blessing to all people. Who would you pick for this role? I guess you would look for previous employment records and determine whether the candidate has skills, experience, educational background, the right family connections, the respect of his peers, the love of his family and etc….. This is the way we make decisions about people and jobs. But this is no normal job and it is no mere human being making the decision. It is God making a decision on a person about a God-ordained role. So the team lineup is brought in for the great man, Samuel, to choose. Samuel has been directed to get to Bethlehem and meet with Jess, the father of 7 boys and 2 girls. Samuel knows it will be one of the 7 boys, but he does not know which one. The young men are paraded in before the Prophet and king maker in Israel. They enter in order from the most likely to the least likely – by age. This is how it is in this ancient culture. Surely many would have thought 9including Dad) that the oldest bot, Eliab would get the nod. This is the way the family custom would dictate proceedings. Jesse, his family, Eliab and Samuel’s attendants must have been surprised when the dead certainty was not given the job! Neither was the next most likely or the next or the next….and so it went until all the boys suitable for the task in people’s eyes were paraded and not given the anointing of God. As an afterthought, the young lad still out in the paddock looking after the sheep is sought out and bought in before Samuel. Much to his and all his brothers and sisters and parents and whole village – even a whole nation – this lad is chosen for the task of ruling and leading God’s people. So, this is God’s way of choosing people for his team. He chooses people without all the agreed background, education, age, status or skills – at least not yet. So God’s choice of people is not about physical features and what they mean to others. Phew! He chooses balding people before they were bald! God chooses short people, ugly people (who are not ugly to him), young people. This is good news for anyone who has ever felt inadequate or actually been inadequate for a task in the Lord’s church. Being inadequate for the job does not count you out of the mission of God. David was inadequate. He was so young. He had no idea what he was in for. He had no experience in the deft work of politics. He had never been in an army. He had never led anything, except for a few sheep. We are inadequate, sinful, idolatrous, distracted, self-orientated, ignorant of so much and often so incapable of knowing the heart of another. And yet, God chooses us in baptism and ever since. God chose him and anointed him BEFORE he could actually do the job. This is God’s gracious heart in action again. He chooses a person to keep his promises alive because he loves people. He chooses a person BEFORE that person is ready, or able, or even capable. He chooses you BEFORE you are ready, capable or willing! And therein lies the challenge for anyone seeking to life their life after God’s own heart. Will I let the Lord choose me for a task I have no idea how to do? Will I put myself in the lineup for a task that I have not learnt how to do – YET. Will i trust the Lord when I sense his call to make of me what he will – trusting that he knows me much better then he knows me and he knows the people with whom he is calling me to work better than me and they themselves. Will I trust that the Lord does not care much for height, skin colour, language mastery, particular skills in any area, weight, state of health, self esteem level, past hurt, disability but cares about me and my inner life with him as he calls me to serve him outwardly? If you are not sure you are good enough for God’s team, be sure today. God chooses you. God chooses you for his church team to play the life-saving game of mission. If you feel like the last kid standing alone when the teams have been chosen, let the Lord choose you for his mission. Get in line with the great community of the inadequate trusting the Lord’s mercy and grace for the task we face. We choose each other for his work. Simply “get in line” with the rest of us inadequate forgiven sinners….. Click here to view ending video……..→.